This CND training seminar is a five day, 35 CPE course offered to you by Intrinsec Security – an Accredited Training Center in partnership with EC-Council. 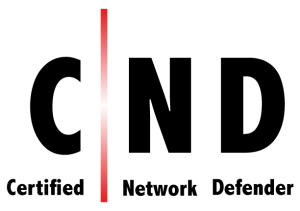 Intrinsec’s official CND training program is a vendor-neutral network security certification prep course authorized by CompTIA. CND is a skills-based, lab intensive course based on a job-task analysis and cybersecurity education framework presented by the National Initiative for Cybersecurity Education (NICE). This official EC-Counsel course has also been mapped to global job roles and responsibilities and the Department of Defense (DoD) job roles for system/network administrators. The training exercises and class material prepares students on network security technologies and operations to attain Defense-in-Depth network security preparedness. It covers the protect, detect and respond approach to network security. Additionally, the hands-on labs included with our CND training is based on network security tools and techniques which provide real expertise on current network security technologies and operations. Aside from a reserved seat in an upcoming CND training seminar, the resources provided with registration include official EC-Council courseware along with a CND exam voucher. Not only that, but you will also gain access to a number of EC-Council’s self-paced resources including their online lab environment (iLabs). When you combine the instructor-led training with the course resources, this official EC-Council training program is a great tool for those interested in gaining either network defense skills, the CND certification, or both. This course includes one exam voucher for the most current version of the CND exam. 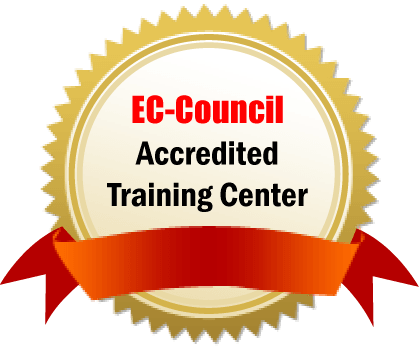 This official EC-Council training seminar reviews all 14 comprehensive modules that were created by EC-Council for CND, ensuring our students successfully prepare for the CND certification exam while also enhancing their overall competencies in network security.